Whether you’re a guest at the resort, staying somewhere else or a local from the Collingwood/Blue Mountain area, this is the course for you. 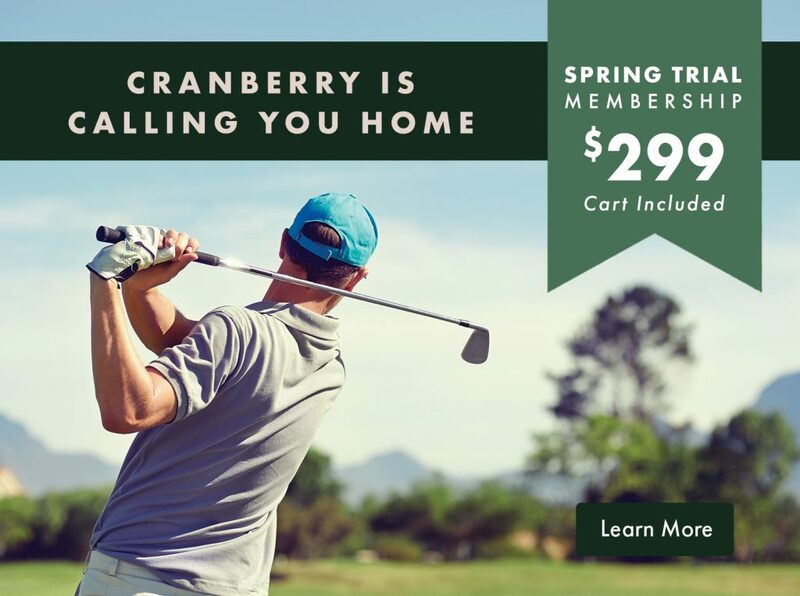 Situated off the shores of Georgian Bay and against picturesque views of Blue Mountain in Collingwood, Ontario, Cranberry Golf Course ranks among Ontario’s most beautiful. The course’s 6,600 yards of spectacular natural scenery include expansive fairways and meticulously manicured greens, along with strategically placed bunkers and water hazards. Players of all skill levels will find enjoyment playing on a course that tests even the most seasoned veteran of the sport. For information or any inquiries, please contact the Pro Shop at 705-444-2699 or mbradford@livingwaterresorts.com.